Good Stuff NW: Salaam Bombay! You can drive to the city now called Mumbai for the price of the gas to get over to SE Hawthorne and the Bombay Cricket Club. Though I'm not sure that you would find a mango-rita on a menu in the real Mumbai. But you must order one anyway, because it's their house special and gets any evening off to a rousing start with a pint glass filled about half-and-half with mango puree and tequila on ice. 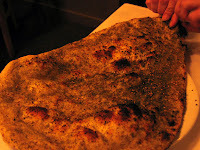 They also have a way with naan, the Indian flatbread that is traditionally served smeared with ghee or clarified butter. They're about the size of a flat Corgi and come seasoned with garlic or onion, or stuffed with potato or cheese (the bread, not the Corgis). Then there's the zathar naan, sprinkled with toasted sesame seeds, roasted oregano, basil, thyme and olive oil and my favorite by far. It's perfect to tear apart while you wait for your entrées to arrive, using those pieces to dip into the restaurant's homemade hummus or baba ganoush. The menu has a plethora of curries, from vegetable to chicken to seafood and lamb, as well as biryanis, salads and samosas. 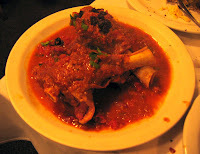 I opted for lamb shahi, lamb shank braised in tomatoes, saffron, ginger and garlic, then sprinkled with almonds, raisin and cilantro. It's enough for two to share or for a table of four to have a good taste, assuming you're not one of those people who barricade your plate from the forks of your fellow diners. My lovely dining companion, a new-to-Portland public radio host and velvet-voiced originator of Divaville on KMHD (see accompanying post), is not one of those, and opted for her favorite, chicken tikka masala, declaring it quite good. 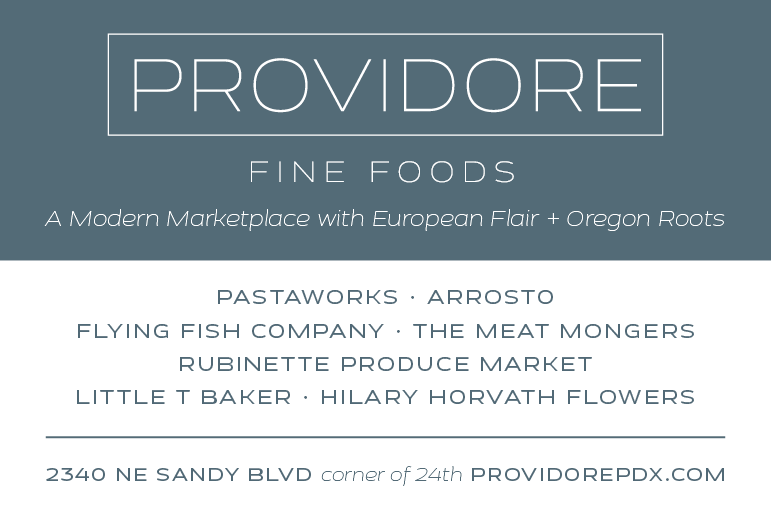 While not on a par with, say, Vindalho just a few blocks south, it's a fun place and the naan is outstanding. It would be a good spot to go with four to six people and really give their menu a thorough going-over, especially if you each have a mango-rita. Details: Bombay Cricket Club, 1925 SE Hawthorne. Phone 503-231-0740.